All students who will be in Kindergarten-8th Grade at SJPII in September 2019 are invited to attend our upcoming Tumbling Clinic with Power Athletics. The cost is $20.00 pp for each session. 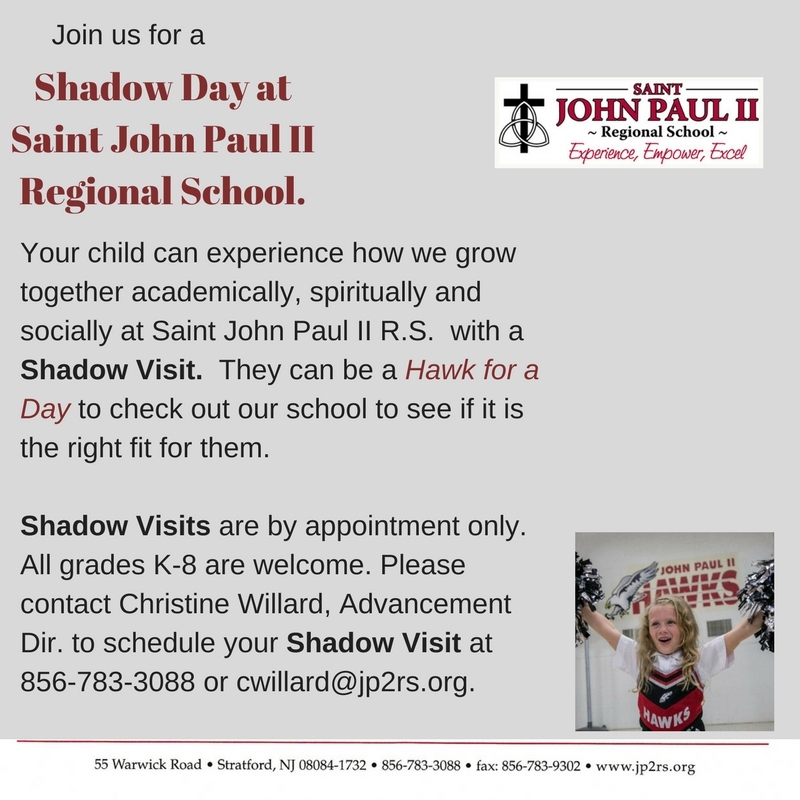 To register, email athletics@jp2rs.org. Newly registered families for 19-20 are invited to join us! Go HAWKS! Spring means Carnival at St. John Paul II RS! We look forward to a week full of fun, laughter, food, music, games and great rides. Join us for a fun, family night out or come all five nights. It is also a great event to advertise your business with several sponsorship packages available. Grab your foursome to golf with us on Sat. June 1st at Valleybrook Country Club, Blackwood, NJ. We also welcome sponsors for this event! There is plenty of golf, drinks, food an fun to look forward to, so join us!